Allow me to introduce you to Joe West, he is just at first glance an ordinary guy, a receding hairline, a little overweight Jewish accountant. Nothing wrong with that I hear you say! Joe works in the film industry. Ah I now hear you say. So how many of us of dreamed of what it would be like to wake up one morning alongside a Hollywood film star. Be honest? 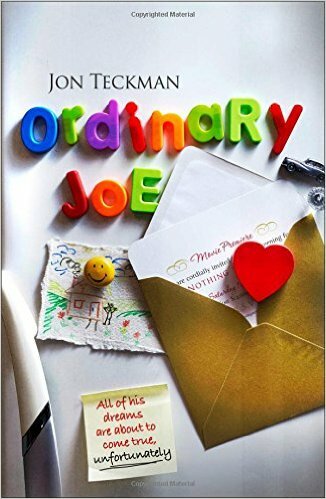 In Ordinary Joe author Jon Teckman takes that dream and turns into a rip roaring comedy that takes off from the very first sentence. Joe West did wake up with a Hollywood actress the very beautiful Olivia Finch, Far too much to drink the previous evening and one thing led to another, remember Joe is happily married with a young family, the thing is Olivia is rather taken with our ‘Ordinary Joe’ and will not give up on him. So it begins. Now we meet Joseph Bennett Jo’s boss and Jo does not exactly ‘get on’ with Joseph, the problem now is that Joseph has been unwittingly drawn into the affair, from here chaos takes over and the story really moves along at a steady pace allowing the reader to make up their own mind about our Joe, you will either love him or want to slap his face real hard, oh this seems to happen to Joe a number of times to the point that he loses a few teeth. Sometimes the grass is not as green on the other side as it seems at first and poor Joe is doing everything he can to hide his drunken night of passion from everyone especially Natasha. Does he manage to succeed, now throw in a dead body oh and lets not forget that socks do play an important role, This is a hilarious read, and it is over all too quick. Does Joe pay for his adultery with Olivia Finch? A wonderful debut novel from Jon Teckman that is pure escapism. One thing I should mention for other guys reading this. Just think about the socks you wear. Why? You need to read Ordinary Joe. I have an appointment with my sock drawer I must keep. Jon Teckman was born in Northampton in 1963. 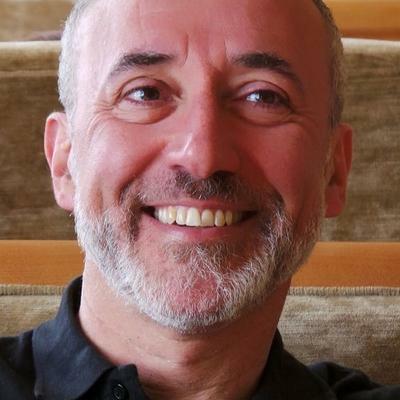 He served as an advisor on film policy to both Conservative and Labour governments before becoming Chief Executive of the British Film Institute in 1999. He now lives in Aylesbury, Buckinghamshire with his wife Anne and sons Joseph and Matthew. Ordinary Joe is his first novel. Posted on November 9, 2015, in Jon Teckman, Ordinary Joe, The Borough Press. Bookmark the permalink. Leave a comment.